Pinterest has been a life changing social media for many people. People use it for planning their diets, workouts, outfits, weddings, organizing, and basically any other aspect of their lives. Even in healthcare people are more likely to check on the internet for symptoms, remedies and possible diagnoses before heading to see the doctor. This would make putting your practice on Pinterest the right move for you. Whether people are looking for information on how to alleviate pain, natural cures, or maybe they are just look for more information on a new diagnoses they are for sure going to check Pinterest to see what they can learn. It allows you to create a quick and visual tool for people to absorb the information, opposed to them reading a ton of text. They are more likely to retain information from a short picture/diagram than by doing loads of research on an issue. Infographs are amazing tools that get the important information needed, they are found all over Pinterest. When using Pinterest for a healthcare practice it is important to not only pin your info, but also share information from other pinners. This way you are sharing as much information with the public as possible. This tool is great to put the information in front of the client and make your practice more trusting. 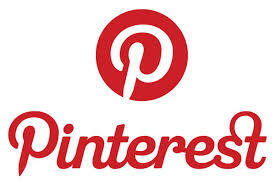 Using Pinterest to give healthy tips, advice, or recipes will be a huge hit with your patients. They will love that their information they are gaining is coming through their doctors first. Pinning client pictures and testimonials would fit perfectly on Pinterest. Potential clients can pin these and save incase they are looking for your specific expertise at some point. If your practice isn’t using Pinterest, it’s not too late to join! Whatever aspect you chose to use it for. Being active on Pinterest is the way to go!